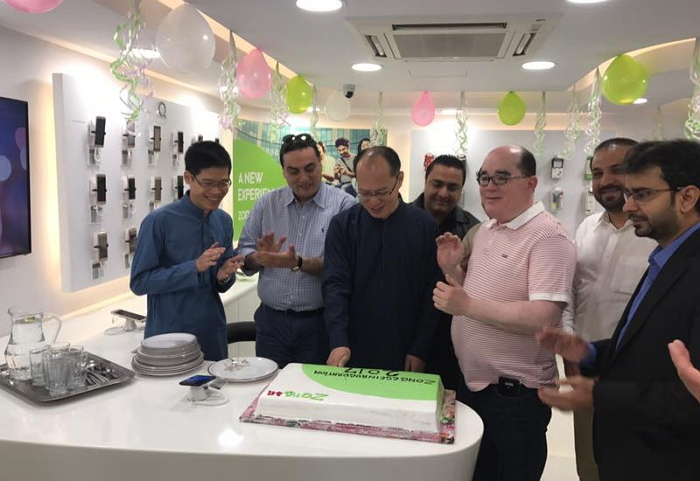 Pakistan’s largest 4G network, Zong, has officially launched a fully equipped, state-of-the-art and directly managed Customer Service Center (CSC) in Quetta, Balochistan. The CSC is part of the larger steps taken by the organization as part of its vision to connect the remote & underprivileged areas of Pakistan. The CSC aims to bring the population of Quetta up to speed with the rest of the country and will facilitate customers by providing access to latest Zong products and on-spot solutions to inquiries. Senior management of Zong, led by Chief Commercial Officer, Mr. Li Wenyu officially launched the CSC at a dignified ribbon-cutting ceremony held the other day. Zong is Pakistan’s No.1 data Network with more than 3.1 Million 4G customers, the highest in the industry, with a significant 75% share in 4G and the second highest number of 3G and 4G customers in Pakistan. The company has played a pivotal role in country’s socio-economic development and continues to invest heavily on developing infrastructure across the country. Recently, the company announced its aggressive expansion plans in 2017 by committing an additional investment of USD 200 Million during the year.